Have you ever looked up at the stars and wondered if there is life out there? Join us on Monday 23 June 2014 at Portsmouth Guildhall for an evening of space songs and expert views as we explore life away from our home planet. Featuring a talk by astrobiologist and author Dr Lewis Dartnell (as seen on BBC Stargazing Live, Wonders of the Universe and Horizon), a performance of original space songs by the Portsmouth Music Hub Portsmouth Voices Choir and a live link-up with a very special out-of-this-world guest, British astronaut Major Tim Peake who will be calling in from his astronaut training in Russia! ‘Astrobiology’ is a brand new field of science, encompassing research into the origins and limits of life on our own planet, and where life might exist beyond the Earth. But what actually is ‘life’ and how did it emerge on our own world? What are the most extreme conditions terrestrial life can tolerate? And where in the cosmos might we reasonably expect to find ET? 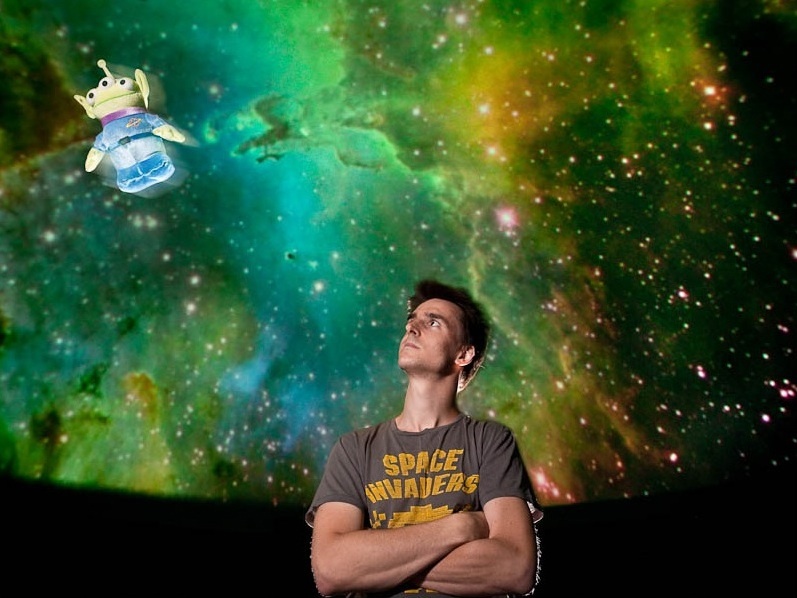 Join Dr Lewis Dartnell on a tour of the other planets and moons in our solar system which may harbour life, and even further afield to alien worlds we’ve discovered orbiting distant stars, to explore one of the greatest questions ever asked: are we alone…? Dr Lewis Dartnell is a UK Space Agency research fellow based at the University of Leicester, studying how life, and signs of its existence, might survive the intense cosmic radiation on the surface of Mars. He also holds an STFC Science in Society Fellowship, and alongside his astrobiology research writes regular science articles in newspapers and magazines, and has appeared in TV shows such as BBC Stargazing Live, Wonders of the Universe and Horizon. He has published a popular science book introducing astrobiology, “Life in the Universe: A Beginner’s Guide” and also an illustrated children’s book with Dorling Kindersley, “My Tourists Guide to the Solar System”. These books will be available to purchase at the event and Dr Dartnell will be signing copies following his talk. The Portsmouth Music Hub Portsmouth Voices Choir is made up of primary school children from across Portsmouth. They will be performing songs from Space-scape, the Hub’s latest songbook.